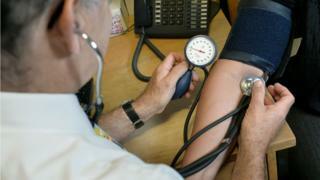 But fewer than half of patients received the recommended annual health check. An NHS England spokesperson said of the report: "The latest figures show the number of patients on a GP learning disabilities register who are receiving an annual health check is increasing but we want to go further. "It is important that people tell their doctor about their learning disability to make sure they receive extra support." Commenting on the low take-up of annual health checks, Mencap's strategic development manager for health Rachel Ashcroft, said: "Visiting the GP can be incredibly difficult if you have a learning disability. "Being on the GP's learning disability register can ensure healthcare is much more accessible and can result in better health outcomes for people with a learning disability."